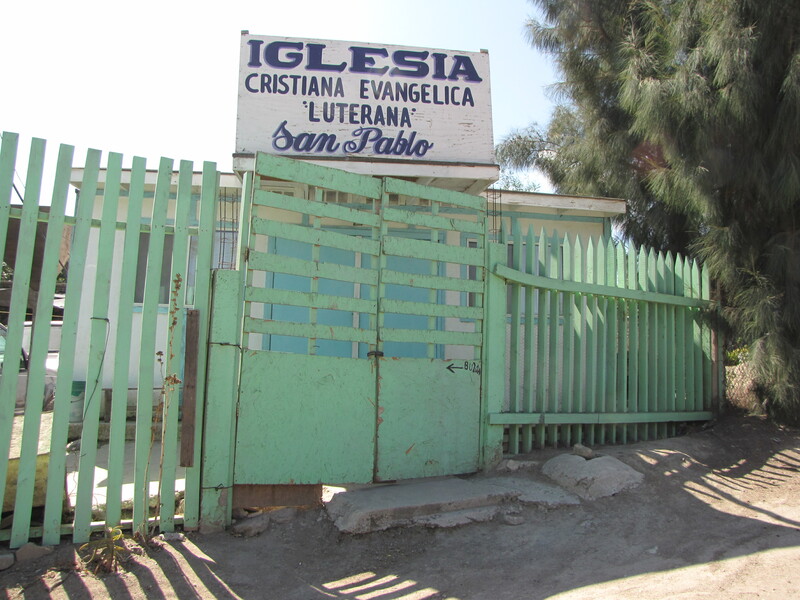 LBCM has supported Lutheran churches and missions in Mexico, helping the churches and pastors with financial support, building churches and multi-purpose buildings, and supporting then in many different ways. Churches built are: El Redentor, El Mesias, El Buen Pastor, San Mateo, Santo Tomas, San Pedro, San Marcos, Lirio del Valle, El Divino, Rey de Gloria, Principe de Paz, and San Juan. There is one Bible Institute supported by LBCM, with two campuses. One is in Tijuana (Baja California) and the other in San Luis Rio Colorado (Sonora). We support them by helping with supplies like books, paper, etc., as well as arranging teachers for the classes. Many people have learned to share the Good News with their brothers and sisters in Mexico bringing many people to know Jesus Christ. LBCM collects (from churches, groups, and individuals) rice, beans and other food items, socks, underwear, toothpaste, toothbrushes, quilts and blankets, Spanish Bibles and just about any other item and distributes them to people in Mexico. We take them to orphanages, the churches and missions we support, and to the neighborhoods where there is a need. LBCM helps with ESL classes. Being in the border region between two countries means the need to learn both languages, English and Spanish. It is a necessary tool not only for communication, but to improve economic level by making more money. Also, in Universities in the border region of Mexico, English proficiency of at least a 50% level is required for graduation. Sewing Classes are offered to women. These classes are a great way to share fellowship and teach a person a new skill. These women are learning to sew clothing for themselves and their families, make household items, and learn a marketable skill. They also provide opportunities for other ladies from the community to come, learn, and become part of a congregation when there is one close by. LBCM’s Breakfast Program serves children by providing them a nutritious meal. We hope that these meals are helping children while they are at school, keeping them alert and able to concentrate on their school work. There are many single-mother families in Mexico, and serving breakfast is a good way to bring these families together to share food, Bible study, crafts and music. Some of the families have started to attend church. 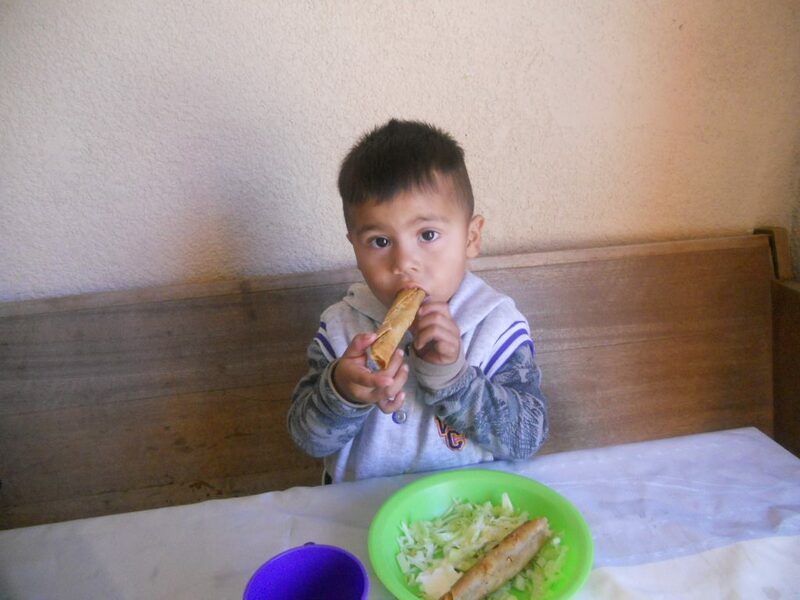 We feel this program feeds children with food and the Word of God. LBCM has supported after school programs in the past and hopes to do so in the future. We would like to provide help with homework and possibly some type of sports activity like soccer or martial arts. LBCM is blessed to have a woman with a passion for music. She has started teaching music to many of the children at several churches in Tijuana. She organizes a recital for the children at the end of the year. For many years LBCM has been collecting and giving out Christmas gifts for children from babies to teenagers. 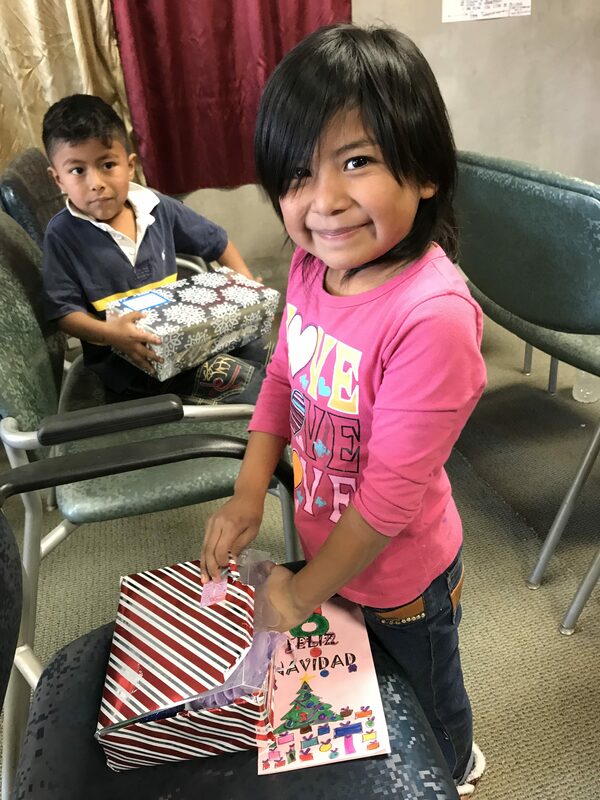 The churches and missions we support usually have a Christmas party with the children and then give out the gifts. Often the children of the churches and missions enjoy putting on a program of music or a play. LBCM has been helping several orphanages in the past, and we have developed a special relationship with one that is near the LBCM center. We hope to continue and grow this relationship in the future. LBCM is a strong believer in education. Many families in Mexico cannot afford an education for their children, and many children drop out of school to go to work to make money for their families. Through the Angel Scholarship Program, we are able to assist children and their families by helping them achieve a good education and improve their future. The scholarships are given to Elementary, Junior High and High School students. Through the Angel Scholarships program a donor is able to assist in a more “as needed” basis, providing assistance when a child has an unexpected need. The funds are used to assist with tuition, books, school uniforms and transportation. We also collect and give out school supplies during the year for the scholarship students, as well as other students. Many families in Mexico live in a makeshift house without a working roof or lockable door. Many of these families are single-mother families with small children. We encourage our brothers and sisters in the United States to go to Mexico to fulfill their mission opportunities by building a small house for a family in need. These houses are small, 12’ x 12’, with a window and locking door. There is no electricity or plumbing. Most teams can build a house in one day. It is a great mission opportunity for both churches and individuals, and provides a new home for a family in Mexico. 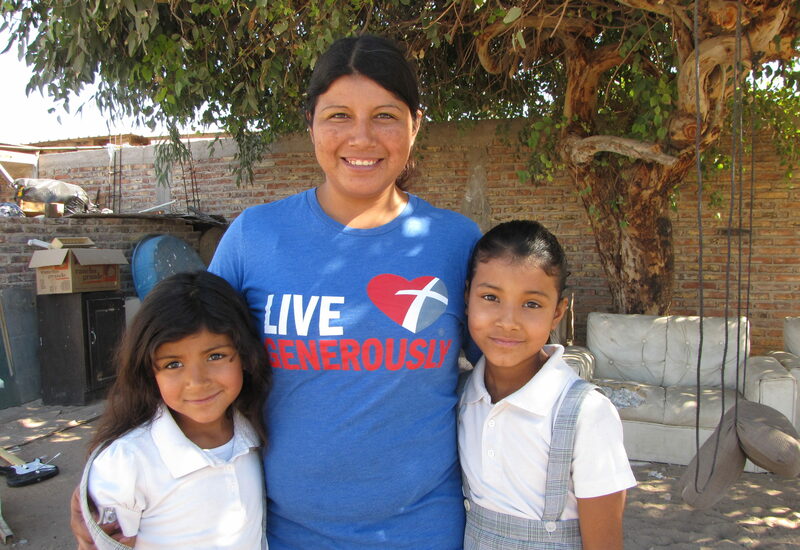 Many teams also distribute food and Bibles in the neighborhood and host Bible studies or Vacation Bible School for children, sharing the love of Christ with our brothers and sisters in Mexico. LBCM encourages ideas for additional building efforts for mutually agreed upon needs (like Day Care Centers, Health Centers, and the like.) Groups are encouraged to suggest projects and take ownership of following them through. Similar to the Angel Scholarships, Angels Wings is an opportunity for a person in the United States to develop a one-on-one relationship with a child in Mexico that is on-going. For about $1 a day a sponsor keeps their child in school (with support for tuition, school supplies, books, uniforms, transportation, etc.) This relationship is on a continuing basis. It provides the child, (who would have little hope of staying in school) and their sponsor the chance to communicate back and forth and develop a “heart-to-heart” relationship of love. Join our mailing list and get our newsletter sent straight to your inbox!